A robber holds up a Canadian bank but instead of stealing money he takes from each person the item of most sentimental value. As time passes the loss of these items have a dramatic effect on the victims: one discovers God under her sofa, another is attacked by her lion tattoo when it comes to life, and the wife of our narrator starts to shrink. It is a remarkable short novella, a modern fable that is weird, uplifting and romantic all at the same time. Kaufman's debut novel, All My Friends are Superheroes, has become a significant word-of-mouth hit and garnered rave reviews from Marie Phillips, Toby Litt and others. It is soon to be made into a feature film. 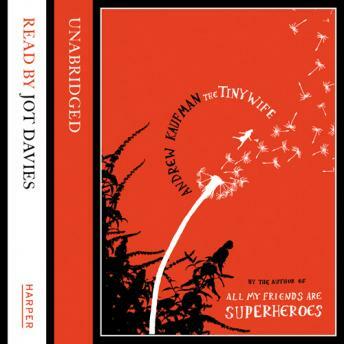 This hardback of Tiny Wife will be a gorgeous gift edition with illustrations.